It is rare that a Burke book becomes intimately personal. Scholars of rhetoric often theorize Burkean terms and theories yet overlook how these teachings transfer to everyday lived experience. In other words, living by Burke's rhetorical precepts might differ from theorizing or teaching them. This practice—employing rhetorical awareness to better intervene in the community and the surrounding world—is precisely the task of Jimmy Guignard, associate professor and chair of the Department of English and Modern Languages at Mansfield University, in Pedaling the Sacrifice Zone. More specifically, Guignard sets out to reveal his personal encounters with the rhetorical techniques used by extractive industries in north central Pennsylvania to influence how people understand the land and its resources. Pedaling the Sacrifice Zone opens with a map of Tioga County, Pennsylvania, the "blank space," Guignard narrates, that he and his family attempted to transform into a "place" of their own (x). This space is "blank" for Guignard because it has not yet been filled with meaning, those hopes, beliefs, and ideologies that transform space into place. That is, all locations appear as blank spaces to those who have never inhabited or heard about them. In Guignard's experience, blank spaces can either become a place of belonging or a "sacrifice zone," those locations pillaged of their worth for the desires of others. The outcome is dependent on how actors conceive of and act upon that scene. Residents who have leased their mineral rights and risked the safety of their land so that others throughout the nation can enjoy the privileges of natural gas occupy the "sacrifice zones" of Tioga County. Although Guignard's depiction of sacrifice zones provokes unanswered questions—what does it mean to "own" land? does one sacrifice the land or a way of life? who can be sacrificed by whom?—he offers a unique version of "rhetorical analysis made personal" (7) that places Burke's theories into action. As Guignard literally cycles through the rural landscape on various roads throughout north central Pennsylvania, he narrates how farm and forestland devolve into contamination sites and how the wildlife traveling backcountry roads give way to freightliner trucks hauling equipment for fracking. To put it another way, Guignard witnesses what happens when oil and gas industries consider places as blank spaces on a map. The map of Tioga County, then, becomes a site of contestation that could best be described as a "confusing web of words" (7). Words have power to shape the land—this is the controlling idea that Guignard sets out in the first two chapters of his book. 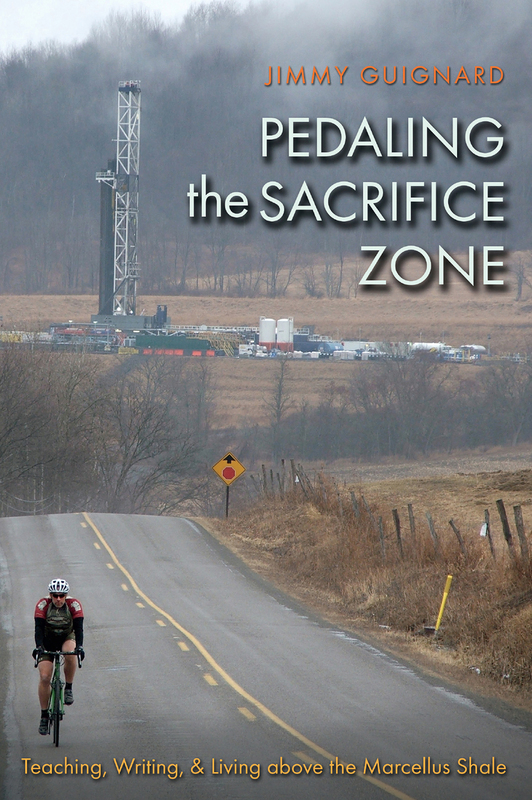 Though his specific task is to understand "how rhetoric used by extractive industries influences the way we see and use places" (77), he addresses not only rhetoricians and residents of Tioga County but also individuals at the local level who experience the realities of sacrifice zones. Indeed, the book is published by Texas A & M University Press (as part of a new series titled "Survival, Sustainability, Sustenance in a New Nature") in College Station, Texas, a town near the Gulf Coast that also bears witness to such realities. To these individuals and others like them, Guignard extends the following directive: "We need to care for the world we live in, and we owe it to ourselves and the land to understand how the rhetoric we craft and encounter shapes our attitudes toward it" (77). Burke's definition of humans as symbol-using animals becomes even more crucial to the book's argument as Guignard moves into the second chapter. It is through symbols, and the people who use them, that spaces becomes defined, appropriated, or saved. As Guignard reports, "Symbols can be understood in different ways, depending on what the person reading the symbol brings to his or her reading of it. That also means that symbols can be used in different ways to achieve different ends. . . . Same map, different attitudes. That's how symbols work." (60). That is, the symbols that compose individuals' attitudes and actions determine how they work with or against one another and how they use or misuse the land. Chapters three through five center on specific rhetorical techniques engaged in by the natural gas industry in Tioga County to persuade individuals and families to lease their land to private companies. These techniques include oscillation between abstract concepts to valorize the industry's successes and concrete examples to downplay its failures. For example, the jobs, benefits, and economic successes of the industry are experienced by "us" and generalizable to "any place," while instances of pollution and contamination are specific to a certain location and a select few individuals (82). Other techniques include evidence of visual rhetoric on company websites: images of open farmland evoke notions of the pastoral, images of stoic laborers conjure the idea of the "roughneck," and continual display of the American flag appeals to a sense of patriotism. Throughout his analysis, Guignard reveals the complexity of the individuals who must consider socioeconomic concerns when deciding whether to work with or against fracking. Indeed, Guignard never offers a solution, implying that there is no one-size-fits-all resolution to a problem that consists of a multiplicity of motives. Even rhetoricians, Guignard demonstrates, have trouble determining exactly how symbols interact, persuade, and hold power to redirect the conversation. The role of the rhetorician is the focus of the book's final two chapters. At times, the ethical responsibilities of this role seem nearly impossible for Guignard: "It's hard enough to keep up the energy to question something. It's even harder when I have to keep up the energy to see what I need to question" (166-67). Rhetoric, in other words, is not just about knowing the rhetorical situation—it's about seeing the self, a constant examination of the one acting within scenes and among other rhetorical agents. Pedaling the Sacrifice Zone ends with a call for non-academic readers to develop and employ rhetorical awareness and for academic rhetoricians to realize the stakes inherent to their work. If words can turn places into desolate, blank spaces, Guignard insists, they are also what can redeem the land. Throughout this untraditional mix of narrative and analysis, Guignard's "pedaling" through the landscape serves as his way of witnessing the effects that the natural gas industry has on the land. While this aspect is part of the book's appeal, it is also what constrains the message: his perspective is unique to one individual whose position as a white, middle-class, male professor is not common to all. Guignard does seek to overcome his situated role in the academy by emphasizing his status as a first-generation college student with a blue-collar upbringing. Yet such an admission does not quite excuse the explicitly gendered tone of the book in which Guignard casts his wife as someone who should defer to his opinions because he "bring[s] home the damn cash" (2). Although Guignard attempts to dismiss his gendered moments with humor, admitting that they are evidence of "good, old-fashioned patriarchy" (2), such moments risk alienating readers who do not share the author's sympathies or sociocultural background. Admittedly, Guignard's goal is to present rhetorical criticism through a personal narrative unique to this own situatedness in life, and in this he is successful. Such a narrative might also help individuals living in places impacted by the natural gas industry learn how to evaluate their rhetorical landscape and garner tools for pushing against verbal weapons. 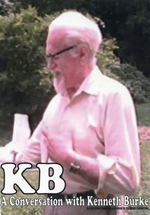 Further, while Pedaling the Sacrifice Zone does not offer Burke scholars any novel evaluation of Burke's work, the book may still be revelatory if we pair it with Burke's persistent concern with environmental issues throughout his career, concerns that Marika A. Seigel and Robert Wess have explored in their scholarship. Lastly, the book holds appeal for any scholar of rhetoric interested in the ethical role of the rhetorician at the local level of the community. In the interest of making analysis personal, perhaps I should end with my own encounters with the oil and gas industry, which Pedaling the Sacrifice Zone made more immediate. Growing up in a rural town in Southwest Louisiana, I was acutely aware that the oil industry employed friends and family members and placed food on many tables. In 2005 when Hurricane Rita demolished homes and kept students away from school for many months, it was a local natural gas company that provided food, water, and clothing for those who lost their homes. As I grew older, I often questioned whether the ground I lived on was contaminated, but as a young college student I felt disempowered, as if pushing against the oil and gas industry would be a death sentence for my hometown. Years later when I made the decision to move to central Pennsylvania, fracking was certainly in the back of my mind: I was moving from one contaminated state to the other. Yet was there any other choice? Was there a place where contamination of our land, our ecosystems, our lives starts and stops? Pedaling the Sacrifice Zone allowed me to articulate such questions and realize that our land and the words that shape that land are always contaminated, whether by oil or ideology. The task becomes reading, writing, teaching, and perhaps even pedaling, in such a way that makes a difference.